Andrew Kimbrell is an attorney and author. He also holds a graduate degree in psychology. For many years he was policy director of the Foundation on Economic Trends. Currently he is Executive Director of both the International Center for Technology Assessment (ICTA), which he founded in 1994, and the Center for Food Safety, which he founded in 1997. Kimbrell also co-founded Foundation Earth in 2010. The author of The Masculine Mystique and The Human Body Shop: The Cloning, Engineering, and Marketing of Life, he is also the editor of Fatal Harvest: The Tragedy of Industrial Agriculture. His articles on law, technology, and social as well as psychological issues have appeared in numerous law reviews, technology journals, popular magazines, and newspapers across the country. 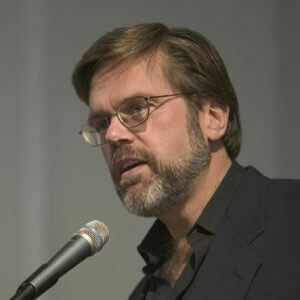 Kimbrell is currently involved in policy and grass-roots work on food issues, including promoting an organic-food future and opposing destructive technologies and practices such as genetic engineering, factory farming, irradiation, sewage sludge, and the patenting of seeds and other life forms. Contact Andrew Kimbrell about speaking terms and dates.